With over 40 works by contemporary botanical artists, this exhibition is New Zealand's contribution to the first ever Botanical Art Worldwide Exhibition 2018. An international event took place this May, with twenty-five countries including New Zealand simultaneously highlighting their unique indigenous flora in exhibitions. This touring exhibition developed from that project. 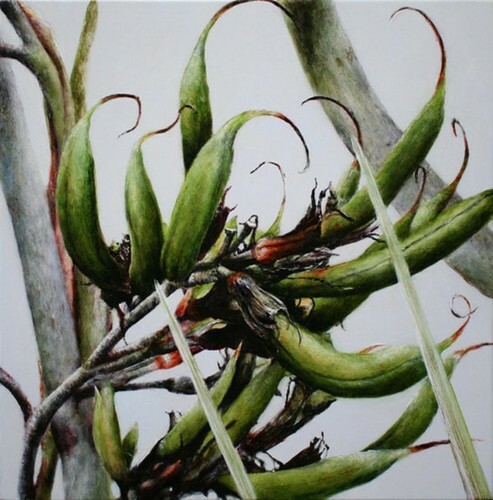 Entries to the exhibition were juried by a team consisting of Sri Benham (botanical artist), Dr Ross Ferguson (Horticultural Scientist and Botanical Art Collector), and Rebecca Stanley. Jurors assessed submissions for botanical accuracy, as well as composition and technique. Organised by the Friends of Auckland Botanic Gardens and Botanical Art Society of New Zealand.